72" x 24" x 6". Zip-on Polycotton Mattress Co..
72" x 27" x 6". Zip-on Polycotton Mattress Co..
72" x 30" x 6". Zip-on Polycotton Mattress Co..
72" x 48" x 2". Zip-on Polycotton Mattress Co..
75" x 36" x 6". Zip-on Polycotton Mattress Co..
75" x 48" x 6". 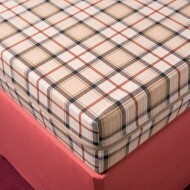 Zip-on Polycotton Mattress Co..
75" x 51" x 6". Zip-on Polycotton Mattress Co..
75" x 54" x 6". Zip-on Polycotton Mattress Co..
78" x 60" x 6". Zip-on Polycotton Mattress Co..